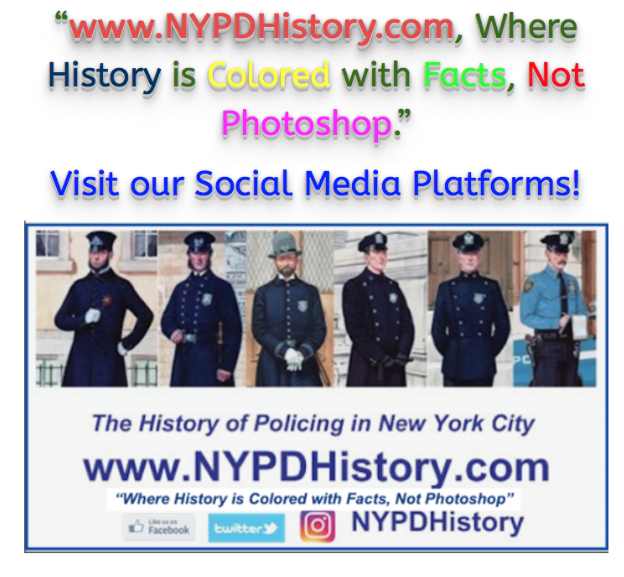 NYPDHistory.com is pleased to have learned that the nation’s premier publication on the hobby and passion of collecting police memorabilia has taken note of our site! The collection of well-researched, well-written and authoritative articles, published over our four years of existence, has garnered the attention of authors, producers, police unions, and department officials as well. 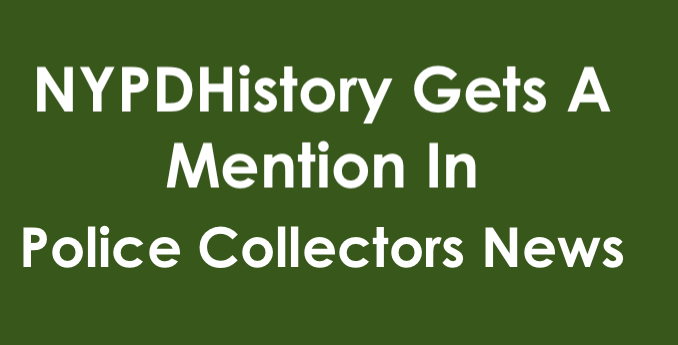 Publisher Michael R. Bodarenko edits and publishes Police Collectors News (PCN), a newspaper-style format publication that, since 1982, has served as the go-to source for all-things related to police collectibles. PCN also sponsors collectors’ shows throughout the nation. More information can be found on their website, here.. If you are on facebook, their Page is here.. I look forward to contributing to their print edition in the near future! Stay tuned! As for those posters, click here! : More Info on Posters!